John Ashbery (1927-2017) is recognized as one of our greatest poets. He won nearly every major American award for poetry, including the Pulitzer Prize, National Book Award, Yale Younger Poets Prize, Bollingen Prize, Ruth Lilly Poetry Prize, Griffin International Award, as well as a MacArthur “Genius” Grant. Ashbery’s first book, Some Trees, won the Yale Younger Poets Prize in 1956. The competition was judged by W. H. Auden, who famously confessed later that he hadn’t understood a word of the winning manuscript. Ashbery published a spate of successful and influential collections in the 1960s and ‘70s, including The Tennis Court Oath (1962), The Double Dream of Spring (1970), Self-Portrait in a Convex Mirror (1975) and Houseboat Days (1977). Up until his death on September 3rd, the poet continued to publish and win awards. Self-Portrait in a Convex Mirror, a portion of which we reproduce here, won the Pulitzer Prize, the National Book Award, and the National Book Critics Circle Award, an unprecedented triple-crown in the literary world. 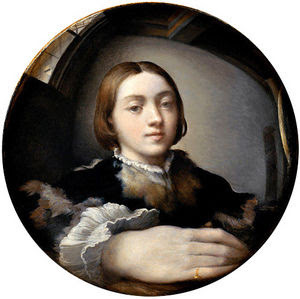 Essentially, a meditation on Francesco Parmigianino’s painting "Self-Portrait in a Convex Mirror" (1524), the narrative poem showcases the influence of visual art on Ashbery’s style, as well as introducing one of his major subjects: the nature of creativity, particularly as it applies to the writing of poetry. And still return safely to its nest? Hear Ashbery reading “Self-Portrait in a Convex Mirror.” Click here. John ashbery was a legendary poet who experienced life closely and expressed it beautifully through his poetry. We lost him this year but his work will be remembered for ages. 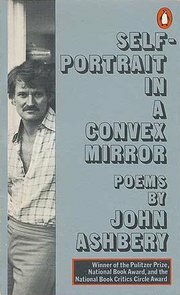 Self-Portrait in a Convex Mirror by John Ashbery...reminds me of my days of youth when i used to lie beneath that big oak tree and read my poems...this one i enjoyed the most.